- A video from Kenny Omega aired as a surprise at this morning's DDT show. 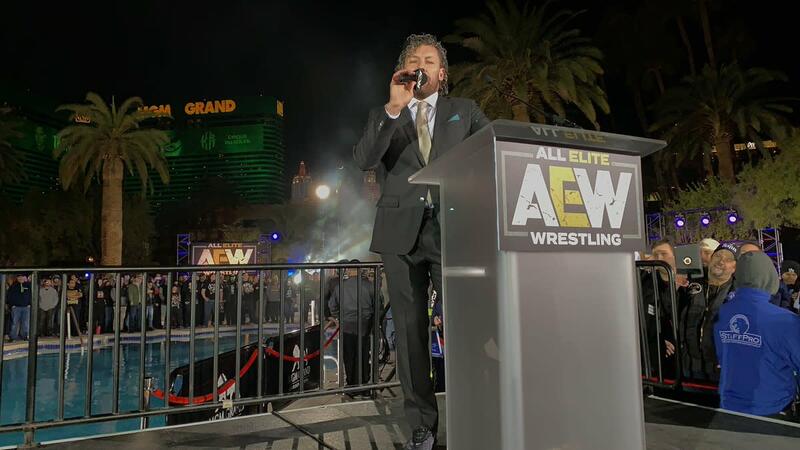 The show featured Michael Nakazawa's "farewell" to DDT, with it being announced on Being the Elite earlier this month that Nakazawa is joining All Elite Wrestling. In his video, Omega said those at AEW never forget where they came from. He announced that Nakazawa will still be allowed to work with DDT and said he's sure the fans will see Nakazawa in DDT again. Omega also teased potentially appearing for DDT in the future, saying "And -- who knows, maybe in the future you'll even see me too." DDT was Omega's home promotion prior to him signing with NJPW in 2014. - Jim Ross appeared on ESPN's Outside the Lines today and was asked if he'd be joining AEW. "I don't know. We're talking -- we're talking," Ross said. "I just haven't signed anything yet. My people and their people are doing their thing." Ross also discussed why he's leaving WWE. He said WWE wasn't using him very much, he feels like he has some great years left, and he needs to get out of the house, be involved, and be on the road and around people. Ross' contract with WWE expires at the end of this month.